ESCWARA: IMPORTANT NEWS FROM EVERTON FC TO ALL AFFILIATED SUPPORTERS CLUBS. IMPORTANT NEWS FROM EVERTON FC TO ALL AFFILIATED SUPPORTERS CLUBS. 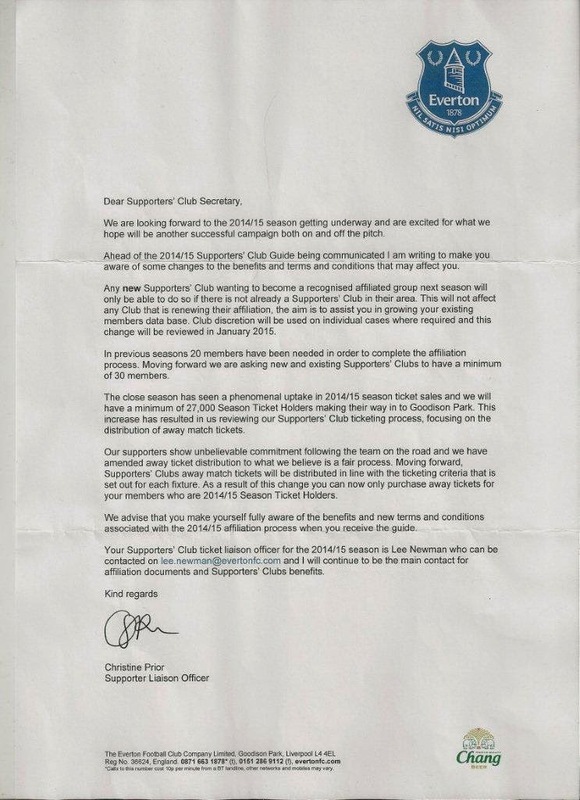 Please see below a letter recently received from Everton FC. If anyone wishes to discuss the contents of this letter further, then please attend the next meeting at "The Wilsons Pub" in Runcorn on Sunday 27th July 2014, at 1.00pm prompt.